First Time? We're so glad you're here! Fraser Point Church exists to lead people into a growing relationship of with Jesus Christ. We realize the vast majority of people in our community don’t attend church, so we’re committed to being a church that unchurched people love to attend. Meeting someone for the first time can be intimidating and going to a new church for the first time can be nerve-wracking. 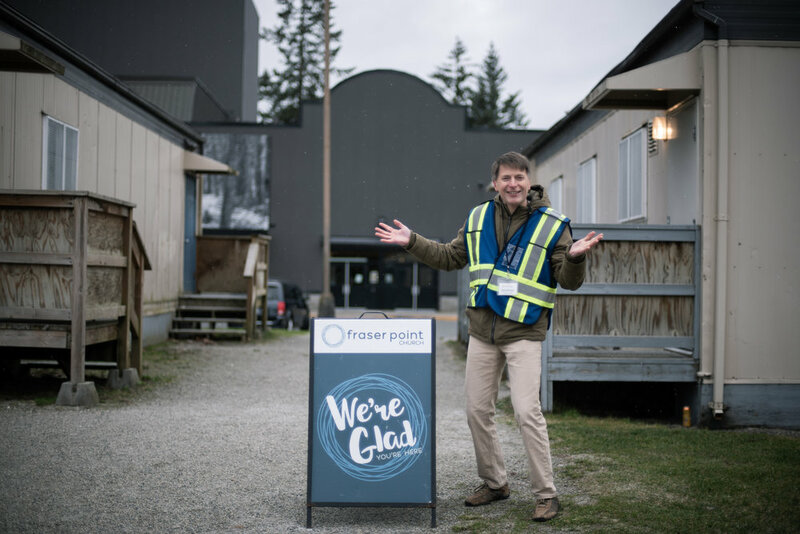 We want to help make your first experience at Fraser Point Church a great one! Fraser Point Church meets in the Chief Sepass Theatre in Fort Langley. In total, a Fraser Point Church service is about 65 minutes in length. There's normally some live music and practical teaching, but the most important thing we want you to know is that we've built this with you in mind. Oh, and that there's coffee waiting for you after the service! Sundays at Fraser Point are exciting, relevant, and accessible. Come as you are and expect to feel welcomed as our guest, have fun, and discover some practical ways to approach life's challenges. We promise to do everything we can to make it a valuable experience for you, wherever you're at in life. You should never feel pressured to believe anything or do anything that you're not comfortable with. Kids should have a blast at church every single week—and at Fraser Point Church, we make this a priority. The other thing we make a priority is your children’s safety. Because of that, we have a detailed check-in process for our kids program the first time you visit. You’ll want to leave yourself an extra ten minutes to get the kids signed in. Our kids environments are offered for infants through Grade 5. Click here for more information about Fraser Point Church Kids. Someone will be in touch with you to coordinate your visit. For sure! We have accessible seating and washrooms available for the mobility impaired. Our Guest Services team can help you navigate the theatre and get settled. Ready to check out Fraser Point Church in person? We can't wait to meet you. You're welcome anytime, but fill out the form below to let us know you are coming!